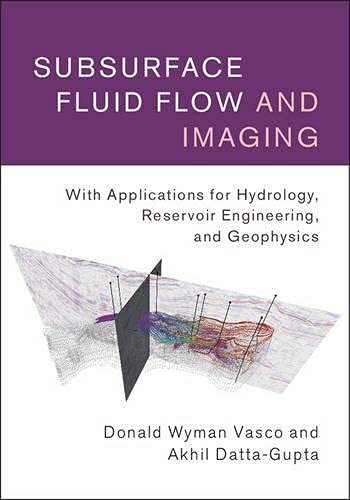 [PDF] Subsurface Fluid Flow and Imaging: With Applications for Hydrology, Reservoir Engineering, and Geophysics | Free eBooks Download - EBOOKEE! Description: This book introduces methodologies for subsurface imaging based upon asymptotic and trajectory-based methods for modeling fluid flow, transport and deformation. It describes trajectory-based imaging from its mathematical formulation, through the construction and solution of the imaging equations, to the assessment of the accuracy and resolution associated with the image. Unique in its approach, it provides a unified framework for the complete spectrum of physical phenomena from wave-like hyperbolic problems to diffusive parabolic problems and non-linear problems of mixed character. The practical aspects of imaging, particularly efficient and robust methods for updating high resolution geologic models using fluid flow, transport and geophysical data, are emphasized throughout the book. Complete with online software applications and examples that enable readers to gain hands-on experience, this volume is an invaluable resource for graduate-level courses, as well as for academic researchers and industry practitioners in the fields of geoscience, hydrology, and petroleum and environmental engineering. No comments for "[PDF] Subsurface Fluid Flow and Imaging: With Applications for Hydrology, Reservoir Engineering, and Geophysics".